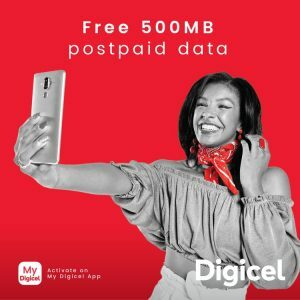 #MontegoBay, February 5, 2019 – Jamaica – Caribbean tourism officials are upbeat about 2019 and confidently expect another year of positive growth bolstered by increased airlift, improved sales, ongoing investments in hotel upgrades and refurbishments, and new properties coming on stream. Speaking with reporters at the Caribbean Hotel and Tourism Association’s (CHTA) 37th annual Caribbean Travel Marketplace, which ended Thursday evening in Montego Bay, Frank Comito, CHTA’s Director General and CEO, shared the optimistic tourism forecast, including a second consecutive year of significant increases in new hires and capital improvements resulting from the stronger performance trend. Increased capital investments are paying dividends for 61 percent of hotels, while strong revenues are generating new hires by 47 percent of respondents. Another 44 percent are maintaining existing employment levels. Seventy-six percent of hoteliers have reported increased revenue with 29 percent registering significant growth. Comito added that a healthier hotel sector is contributing to growth in employment, higher tax revenues for governments, and helping more hotels to realize a net profit. Eighty percent of responding hotels anticipate net profits as they finalize their 2018 books. “A healthy hotel sector is paramount to economic growth. While every sector of our tourism economy is important, specifically cruise, marinas, and vacation home rentals, it is the hotel sector which has the greatest multiplier effect on economies. They continue to have the greatest impact on employment generation, spin-off businesses, new airlift, and tax revenue. We are pleased to see performance moving in this positive direction,” added Comito. The tourism veteran said the CHTA survey will help the organization gain a better understanding of the state of the tourism economy, its outlook, and factors which could influence the sustained expansion of the region’s visitor industry. The survey polled a representative sampling of hotels throughout the Caribbean looking at their 2018 performance and 2019 expectations. It examined areas such as employment levels, revenue, profits, capital spending, room occupancy, and rates as a basis for assessing the state of the tourism economy. The residual impacts of the 2017 hurricanes were still affecting several destinations, and Comito urged tourism officials to address any lingering unfavorable marketplace perceptions by making greater marketing investments. Caribbean Travel Marketplace 2019 was produced by CHTA in collaboration with co-hosts the Jamaica Hotel & Tourist Association, the Jamaica Tourist Board and the Jamaica Ministry of Tourism. It is the leading event in the Caribbean tourism industry where delegates from Caribbean countries meet with buyers from more than 20 markets. This year’s host sponsors were Appleton Estate Rum Experience, Interval International, Jamaica Hotel & Tourist Association, Jamaica Tourist Board, Jamaica Ministry of Tourism, JetBlue Vacations, MasterCard, Sandals and Scotiabank, while Platinum sponsors included 7 Pillars: Marketing on Demand, Adara, AMResorts, Figment Design, Marketplace Excellence, OBMI, Sojern, STR, TravelClick, Travelzoo, and the United States Virgin Islands. Gold sponsors were AeroMD, American Airlines, ARDA, Arrivalist, Best Western International, BlackDoctor.Org, Bonnier Corporation, Caribbean Airlines, Caribbean Journal, Condé Nast Traveler, Delta Air Lines, The Discoverer, EPICA, Expedia Group, FirstCaribbean International Bank, Flip.to, Golf Channel, HCP Media, HEBS Digital, Matador Network, Meredith, NextPax, The New York Times, Northstar Travel Group, Prevue magazine, Questex, Rainmaker, Recommend magazine, Robb Report, Simpleview, SiteMinder, St. Maarten, St. Martin, TL Cooper Media, travAlliancemedia, Travel + Leisure, Travel Relations, TravPRO Mobile, TripAdvisor, Trip Mate, and The Wall Street Journal. 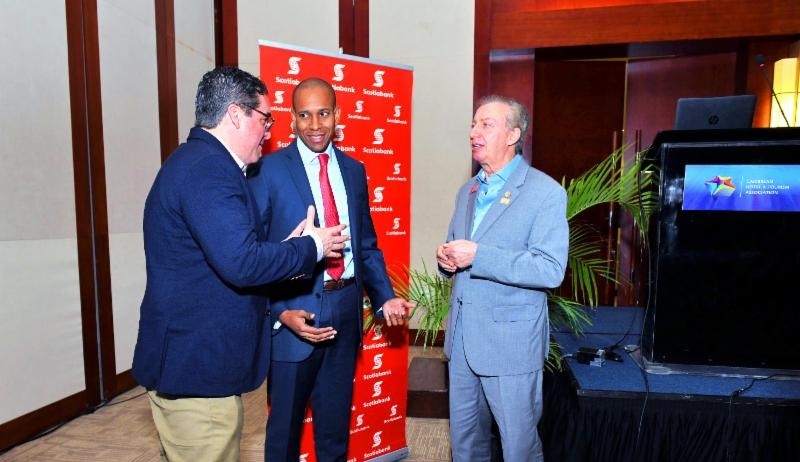 Photo Caption: CHTA’s CEO Frank Comito (right) and Chief Marketing Officer Matt Cooper (left) talk tourism with David Noel, President & CEO, Scotiabank Group Jamaica during Caribbean Travel Marketplace.